I've got a bunch of papaya seeds left over from a ripe fresh papaya and I'm trying to work out what I can do with them. What effect if any does cooking them have? Are they edible cooked? Are there any particular ways of heating them or ingredients to cook them with that bring out or modify their flavour in any notable way? Cold, they're kinda tangy, sharp, bitter, not unlike peppercorns but more bitter and maybe slightly citrus-y. They seem to get more bitter the longer they're off the fruit - after two days in the fridge my stash became obscenely bitter, just one seed and I could still taste the bitterness 5 minutes later. Or any other methods of preparation? Does steeping in vinegar do anything interesting? Or any other liquids? Crushing, freezing? Anything? Wash them to remove all the orange fruit bits, then dry them thoroughly on a cookie sheet in the sun. Store as is, use by grinding to a powder that can be used like black pepper. 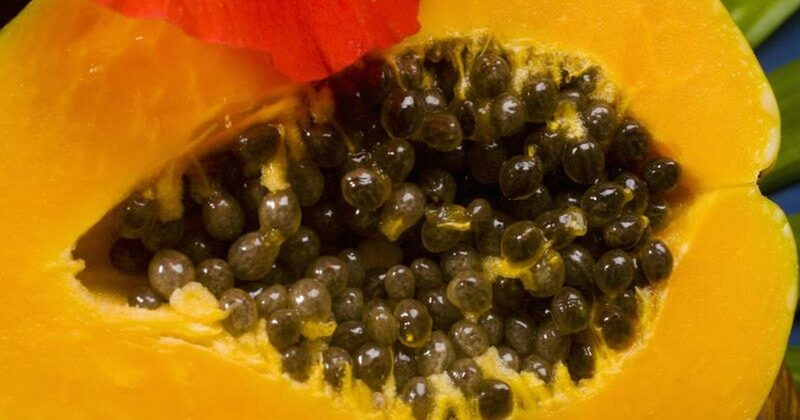 Key ingredient in Hawaiian papaya seed dressing! Not the answer you're looking for? Browse other questions tagged seeds or ask your own question. How do I make bread with LOTS of seeds?